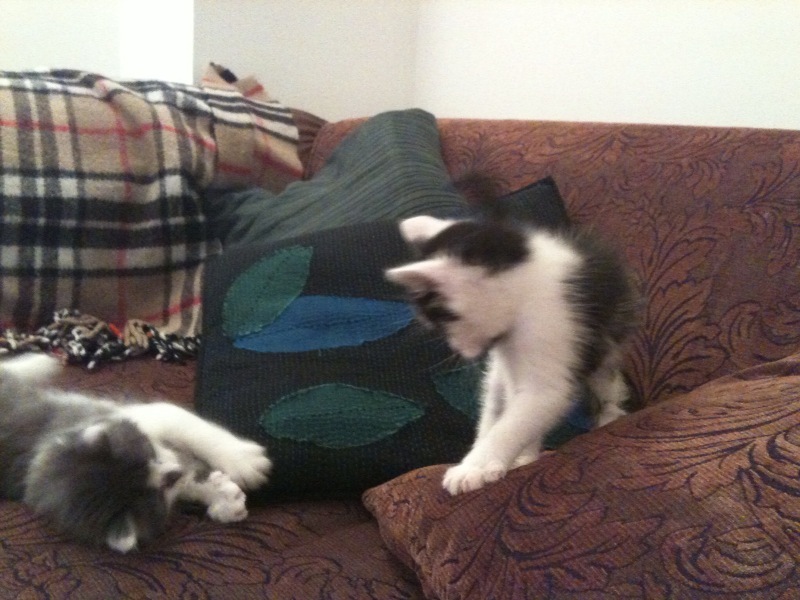 We have bought two little kitties and are enjoying hours of chaos with them. They have settled in with ease - after some initial anxiety from me that they would miss their mother and siblings. I am now been pandering to their every whim - I just can't say no to them, they are so cute. The spring term is drawing to an end and I am up to my eyeballs in bookings; it looks like the summer will be a busy one. I will be having my usual summer party on the 13th August. Pencil it into your diaries. It is now 4 years since I started the Yoga Room and I am excited that so many people are now doing yoga! Long may the success of the studio continue. Those kittens are so sweet, I can see why you are in love with them! They must give endless hours of fun. Glad the yoga room is so successful at the moment.